What is Real Time Data Communication ? Real Time Data communication is same as live event, and Real Time Data Communication streams live data in any software or mobile app. It has to give a response in a specific time frame. In real time environment data has been received, processed and returned the final result in milliseconds or in microseconds. Today, many mobile app development companies have created apps that work on Real Time concept in the Current world. Example. Live Streaming Application, Stock Market Application, Chat Applications etc. Real time applications are Client -Server - Client mechanism, in this the User is connected to both ends (Client and Server). Real Time is not only both way communication but it also has to perform in time which means the result of the communication has been done within the specified time frame. This process will not be called Real time if it is not performed within a specific time frame. Also, note that it is not necessary that every time Real time is high-performance computing. Publisher does not programme messages directly , but instead categorize messages into classes without knowing the Subscriber. Subscriber who is interested in one or more classes can receive message without knowing the Publisher. PubNub Functions: Basically functions allow us to run separate codes on PubNub Server side to handle message which needs to be streamed between the publisher and the subscriber. ChatEngine: ChatEngine is a service to apply all the core feature of the Chat Quickly, it supports private and group chat. It also provides basic chat features like emojis support , User online / offline status , message history etc. 2. Firebase Realtime Database and Cloud FireStorage: Firebase is an evolutionary mobile platform which is provided by Google. It gives us two options for managing Real Time data. Real Time Database: which is original database of firebase with low latency solution. Real Time Database which gives data updates within seconds, Real Time Database uses the JSON format database for that.,it is NOSQL database. It also works in Offline mode. Real Time: It uses Synchronization instead of HTTP Request, on data update it is received by the client with in milliseconds. Offline Capabilities: Firebase persist our data on Disk so that’s why it can work on Offline mode , when user is offline firebase store changes on disk and when he /she is online it performs that operation for them. Accessible from any Device: Firebase Real time Data can be accessed from any mobile device or web browser, we can also apply security rules for authenticated users. Cloud FireStorage : is a newly added solution by firebase which is cloud- hosted and is available in Beta version. It stores data in documents (which is similar to JSON). Documents Supports many types of data types which includes Array, Boolean, Bytes, String, Integer, Null, Map, etc. Offline Capabilities: It also supports offline capabilities for Android, IOS and Web. Expressive query: We can apply multiple chain filter on Single query in FireStorage which we can’t in Real Time Database. So, filtering and sorting of Data is much easier in FireStorage. 3. AWS AppSync: AWS AppSync interacts with data source using GraphQL (which is open standard query language) from your application. AWS works on WebSockets which is a client/server web Technology, as compared to other libraries you have to handle the data by yourself which will add another layer of code from developer side. Message structured needs to be implemented from our side. Development with GraphQL: AWS AppSync uses GraphQL, an open standard query language that makes it easy for applications to request data from the cloud. Data Security: AWS AppSync helps you keep users' and app data secure. The service integrates with Amazon Cognito and AWS Identity and Access Management, so you can set fine grained permissions on GraphQL operations that put strict controls on who can access the data. Resolve Data Conflict: AWS AppSync can automatically resolve conflicts on data which is shared between multiple users and devices. Conflicts can happen when two or more users make updates at the same time. 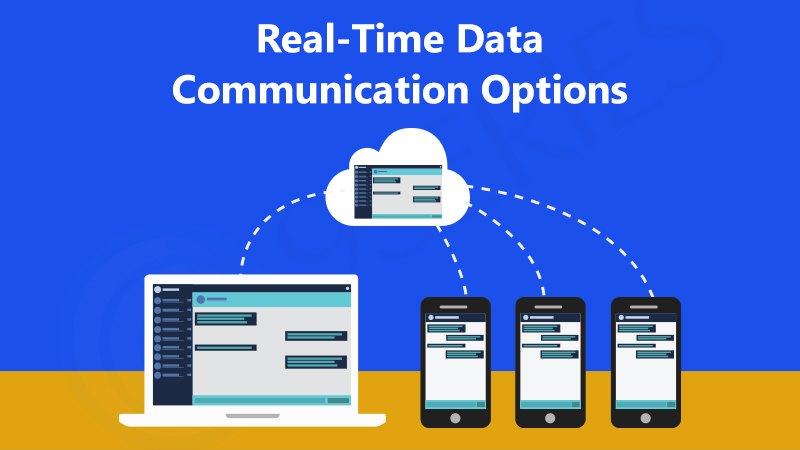 Real Time Data Communication rushes live data through and in any software or mobile app. It is important because it has been designed to give the response in the specific time frame. There are many mobile app development companies that have created apps that work on Real Time concept in the Current world. 9series has solutions on the same for you. To know more you can contact our team anytime. Stay Tuned for more! It will consider ‘1’int value which is primitive type and will allocate memory to wrap int to Integer which is also know as a Boxing technique that can be expensive in terms of performance of application. We can use Sparse*Array which will reduce unnecessary object creation. 3 ) Working with Image Bitmaps - Bitmaps take lot of memory in our application so it is suggested that we should not load image in its full size , we should load the image in particular resolution which we are using it in our application. Ex. Suppose we are showing the imageView of size 100 * 100 dp so we should load the image in same size, there are some common methods to perform in developer documentation of android. 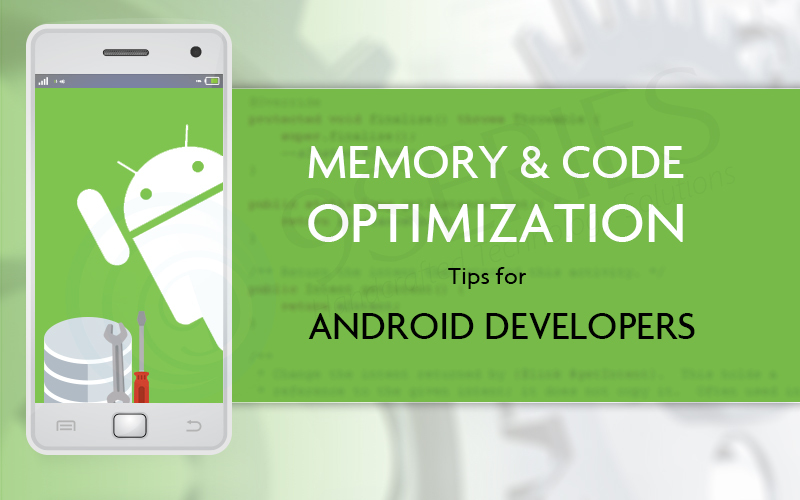 4 ) Use Cache Memory - Cache allows you to use expensive object without recreating them. We can store such objects like image which we can’t afford to load again and again.We can store it in Cache memory and load them directly from Cache. Ex. Android provides LRUCache Class , which will perform such operations for us. Class has a Storage Limit. When class exceeds its limit it will automatically removes the least used object from the Cache. On other hand, we can also use some third party library to Cache the memory and avoid to load it again and again. Glide and Picasso are such libraries to achieve that. 5 ) Use DiffUtil in RecyclerView - DiffUtil uses Eugene W. Myer’s difference algorithm to calculate the minimal number of updates to convert one list into another. Instead of notifying all items just notify those items which are changed. For more information refer this url. 6 ) Don’ts use android:text in design layout files. - Most of the mobile developers uses android:text for layout design purpose and overwrites respected value from java classes which will writes text one time from xml layout and another from java files. So to overcome this, use tools:text instead of android:text Android Studio provides performance tool know as a Lint which will show us our potential error in the code. We have one variable that is created in onDraw method lint that shows error for the kind of code. Optimization of the code is directly related to size of our application. 1 ) Remove unused Resource - Resource like image can take much size in our apk.so we should remove unused resources from res folder. Ex. - There are two ways to remove unused resource from apk. CTRL + ALT + SHIFT + i - Type unused resources and Enter which will give list of resources (drawables,strings etc.) which are not used in our app currently. We can delete them. Shrink unused resources from gradle file. Which will remove unused resource from your release apk. 2 ) Don’t use Images for all Density - Android supports different density with different devices like ldpi,mdpi,hdpi,xxhdpi,xxhdpi. Use only those density images which you think large number of users are going to use. It is already recommended that all devices should use at least xxhdpi images. 3 ) Avoid Frame by Frame Animation - Frame by frame animation can enlarge for application, which is having multiple images for different density. Try to achieve such things with GIF images. 4 ) Reuse Images - We can use same resources like we need an image with mirror effect. So we can use same image with rotation. 5 ) Remove unused Code - Nowadays we use so many third party libraries to achieve some features easily in our app which is nothing wrong to do, but there are some unused code and classes that takes place in application. Android provides facility of Proguard to remove such code from your application. This collection of codes shows the user who is not authorized by Firebase and also who don’t have permission to Read and Write. 4 ) Storage - Firebase is very much diverse in terms of storage type. Apart from textual information; It can store any sort of file.(Ex. Images, PDF, DOC etc), Interesting aspect is, It gives a feature to update the metadata of the file. This holds lots of possibilities in terms of content discovery, content manipulation, and updation unlike typical relational database management system. 5 ) Notification - Conventionally all push notification in Android devices are delivered through GCM. While Firebase support different approach. It has FCM instead of GCM.. There is no change in the performance or reliability in FCM, Firebase allows sending three types of Notifications directly to users. USER SEGMENT: Sends the notification to all users within the App, and to handle notification in the foreground, you have to perform some message handling login in the Client app. TOPIC: Sends notification topic wise. Notifications will be received to only those user who subscribes to that notification topic. SINGLE DEVICE: You can send a notification to that particular user. You can just pass the FCM Token to the user and notification will be fired for only that user. 6 ) Dynamic Links - Create links to open application in your device. If it gets open then won't create any issue, otherwise, it will directly navigate to the user to download the app from play store. Create links for IOS and Android App to move the user to relevant content in the App. You can view statistics of the link from Firebase console. 7 ) Crash Reporting - Get all crash log of your application in crash reporting part. It will report automatically to the developer when there is any crash from the user's side. 8 ) Invites - It’s a new way to invite user for app installation. You can set share method like SMS and Email. You can also set message, dynamic links (which will navigate the user to the application directly), Intents, email title intents and can see statistics of the app sharing. 9 ) Test lab - Firebase Test Lab gives you experience to test your app in wide range of devices. It provides Logs, Videos and Screenshots in firebase console for each device. Your app code will run in Google Data Center. Test Lab will help you to find issues for particular devices. 10 ) Remote config - Remote Config helps you to update your application without submitting it on store, can change the app behaviour and appearance without updating the app. Once you place default value for it then you can change it from firebase console. Later it will continuously check for the update and behave according to the current configuration. 11 ) App Indexing - App Indexing helps to search your application or Content on the Google no matter it is public or personal. It also have features like search for the Content, Direct install button, Autocompletion for Searching etc. 12 ) Admob - Admob helps to generate revenue from your app with advertisements. Ads can be displayed as banner ads, interstitial ads, video ads, or native ads. Firebase Analytics, App Indexing, Cloud Messaging, Authentication, Dynamic Links, Crash Reporting, Notifications, Invites & Remote Config is absolutely free and we can perform any of this feature without worrying about payments. For other services, it has three plans (SPARK,FLAME and BLAZE) according to the application usage. Find more details about it on https://firebase.google.com/pricing/ Here we have discussed some of the basic feature list of the Firebase. And there is many more yet to come. 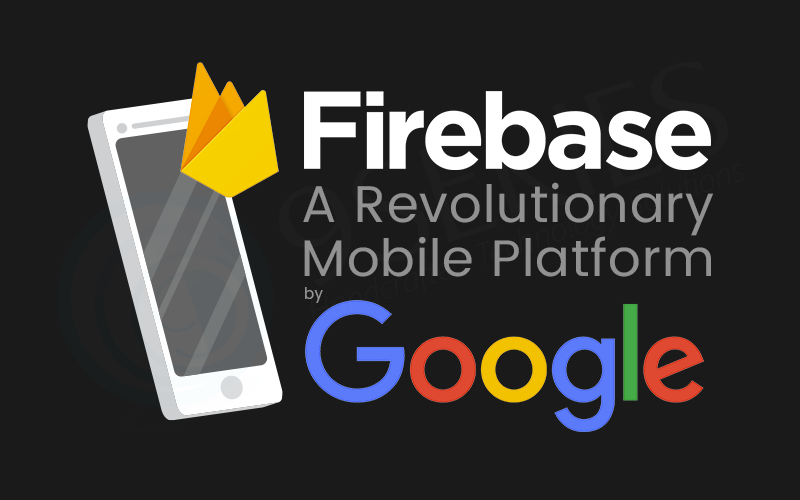 If you have a business app or thinking to begin, then look it's no further than Firebase. 9series is having a team of best mobile application developers in India that develop business apps, with the target of aiding their businesses in growing with their client bases and increasing their profits through their mobile apps.